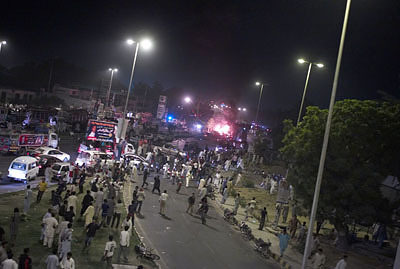 18 October 2007. 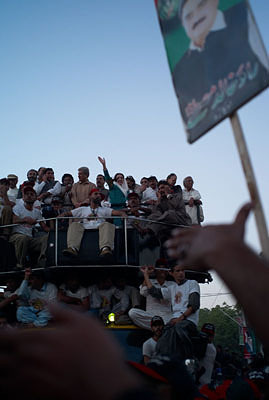 After 8 years of self imposed exile Benazir Bhutto returned to Pakistan. 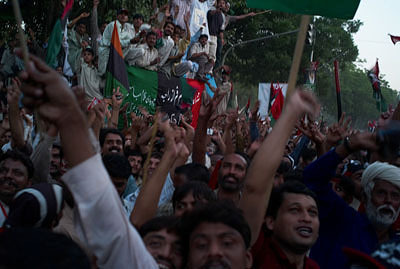 the elections should, in turn, lend credibility to Musharaf's own carefully protected hold on power. 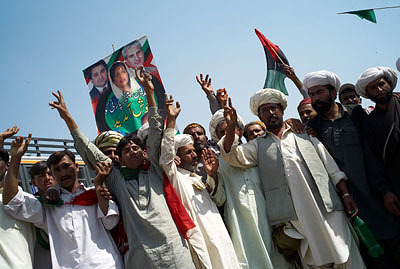 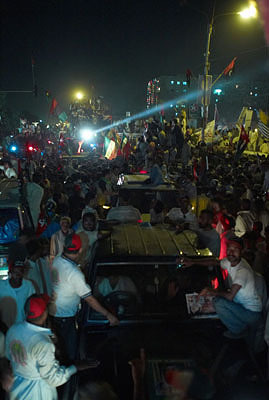 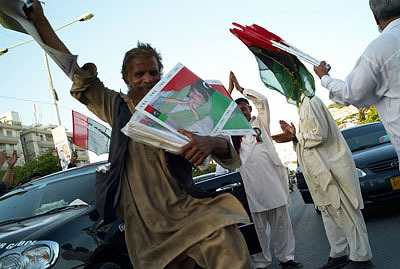 However Bhutto's convoy from the airport, watched by large crowds, was attacked by suicide bombers. 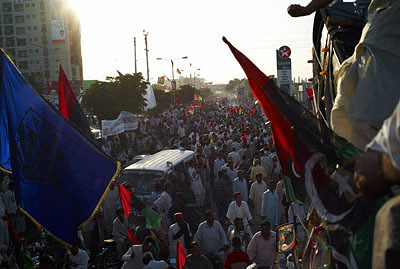 Bhutto survived this attack, only to be killed by another a few months later.